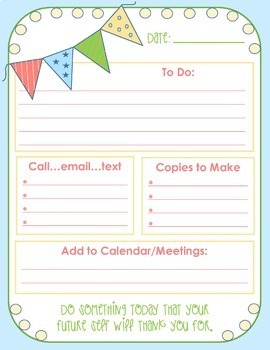 FREE daily to-do sheet that will help ANYONE stay organized and on top of things! In the folder are a color copy AND black and white! Print full sized or two per page. Make copies and clip in a notebook to make a personal daily planner!